Comments: BSE image of strontiomelane. (CanMin, v37:673). Location: Praboma mine near Saint-Marcel, Aosta Valley, Italian Alps, Italy. 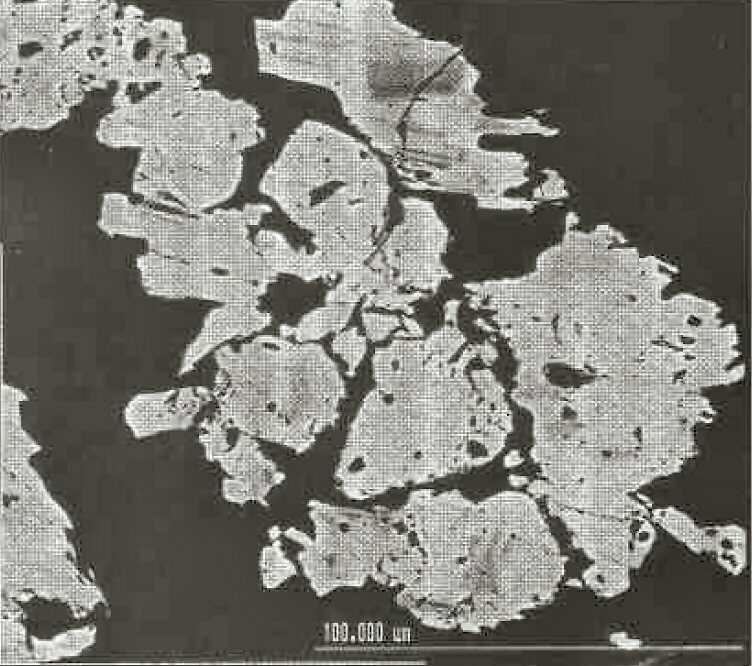 Scale: Scale Bar 100 µm.